September 23rd is officially the first day of fall; although, that doesn’t mean you can’t enjoy the last few weeks of summer here in Bowmanville – and in the surrounding area. Here are a few great events that you should definitely consider attending with the whole family. 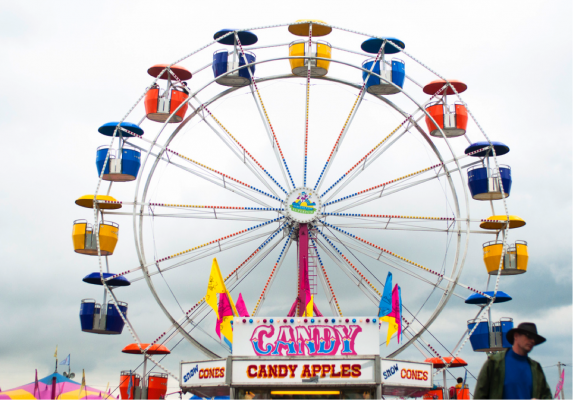 September 10-13, there will be something for everyone at Durham's largest – and oldest – annual agricultural fall fair, the Orono Fair. Now in it’s 163rd year, the Orono Agricultural Society is celebrating the ‘next generation’ of agriculture. You’ll find everything from art, singing, fiddling and pumpkin decorating competitions, a children’s pet show, demonstrations, shopping and so much more. Four-day weekend passes are available now on the fair’s website. September 19th, learn about the multicultural heritage and hidden architectural gems of nearby Whitby. Heritage Day, a one-day event, has a wide range of re-enactments and activities that bring to life local history and culture. As well, there’s an antique merchant, steam engines, a chainsaw artist, a blacksmith, and woodcarvers. Farmers' Market vendors will be set-up, selling sweets, fall vegetables, and decorations. Local musicians will provide free entertainment throughout the day. For children, there’s a petting zoo, pony rides, face painting, games, balloons, train rides, crafts, heritage displays, and more. Lastly, wave goodbye to summer, and say hello to fall on September 26th at the Harvest Tea Party – and support of the Big Brothers and Big Sisters of Clarington. Enjoy live music, entertainment and, of course, a delicious lunch of tea sandwiches and sweets. Also, there’s going to be a marketplace, full of unique one of kind vendors which include: jewellery and accessories, quilters craft, an ‘eat my shortbread’ table, a children’s book table, a baked goods and preserves table, and more. Summer may be over, but there’s plenty for the whole family to do. Be sure to stay tuned to our Facebook Page for updates, and events all year round.